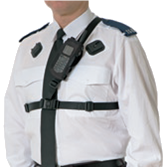 Interconnective provide a range of attachments/products for use with The Partner Body Worn Video System. We have listed information on each of these below, but please note that these are supplied at additional cost and are NOT part of the initial “system”. 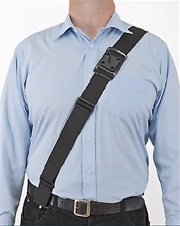 Sam Brown Chest Carrying Harness – This harness attaches to the Utility Belt front and rear via two Klick Fast Docks and incorporates a nylon shoulder strap with Sam Browne chest mounting Dock. 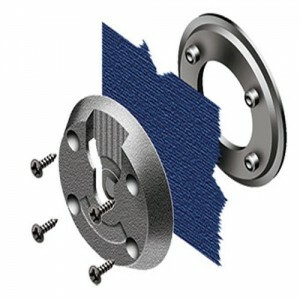 Dock 08 KlickFast – While you are awaiting garments with sew-in Docks on, or if you want a quick upgrade, you can upgrade your existing garments with this screw together Dock. This can be fitted within minutes. 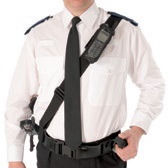 Centre Chest Harness – This harness mounts the Chest Cam in the centre of the chest using a Klick Fast Mounting Dock and incorporates nylon straps that slip over the arms and shoulders. 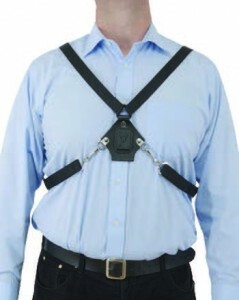 Chest Harness – This harness mounts the Chest Cam on the chest using a Klick Fast Mounting Dock. The mounting position is fully adjustable.